The TIPON, PIKILLAQTA, ANDAHUAYLILLAS TOUR explores three beautiful sites south of Cusco. It is a wonderful way to begin acclimatizing to the high altitude of Cusco and get ready for a trek if you have booked one. This tour is south of Cusco and off the beaten path so you won’t run into many tourists on this one. TIPON has numerous impressive terraces that are still being cultivated today. Amazingly the irrigation system that the Inca’s built is still serving agricultural areas nearby. 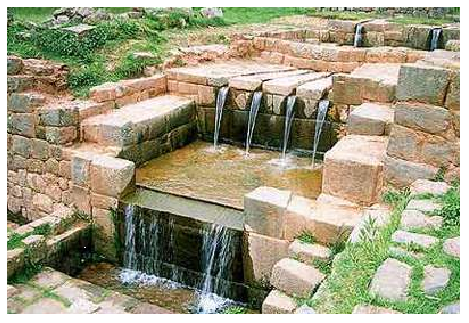 It consists of carved stone channels, precisely calculated, constituting a hydraulic engineering masterpiece. PIKILLAQTA is a massive pre-Inca ruin site that consists of more than 700 structures: 200 Kanchas (departments), 504 qolqas (storage rooms) and multiple other buildings that could have housed about ten thousand people. The city was displayed in a harmonious and symmetric way, in blocks with straight streets. The walls were made of mud and stones, wide at the bottom and tapering towards the top. In the early 1990’s, these walls were covered with mud 9cm thick, that were then painted with plaster. The floors were also made with a kind of thick plaster which would have displayed the appearance of a white city. ANDAHUAYLILLAS has a stunning church called San Pedro de Andahuaylillas, also known as “The Sistine Chapel of America” due to the quality of its art pieces. Built at the beginning of VII century, the interior of the temple is decorated with murals by Luis Riaño (XVII century). 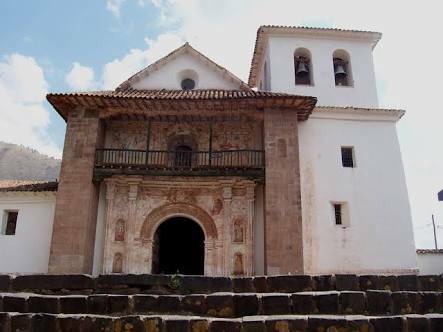 Additionally the church houses a majestic piano, numerous canvases by the Academy of Cusco, silver work and baroque altars. You will be collected from your hotel or Plaza Regocijo (your choice) at 8:30am and driven with your guide to Tipon where you will explore the beautiful terraces still in use today. Your guide will explain the incredible mastery the Incas had over irrigation and construction and the history, architecture and local traditions of each site visited. Next we drive to Pikillaqta where you can explore this massive, geometric city, the use of which is still speculated about today. Finally we drive to Andahuaylillas where we will see beautiful colonial architecture and the main attraction, San Pedro de Andahuaylillas Church (aka Sistine Chapel of America), with all of its incredible art. 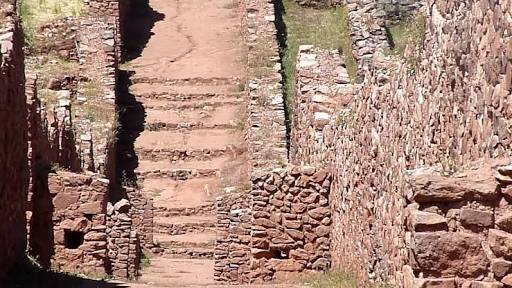 After exploring this area we return via private transport to your hotel in Cusco.